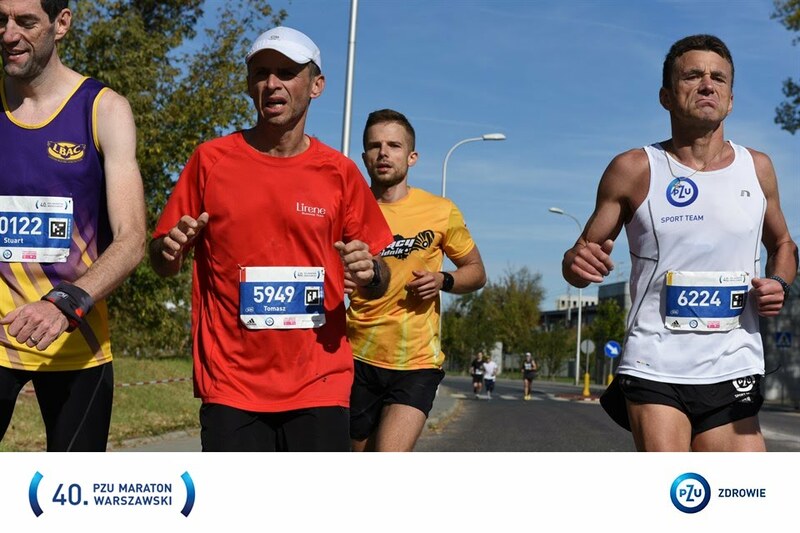 The Warsaw marathon took place on 30th September 2018. My second marathon of my #3in3marathonchallenge for the year. 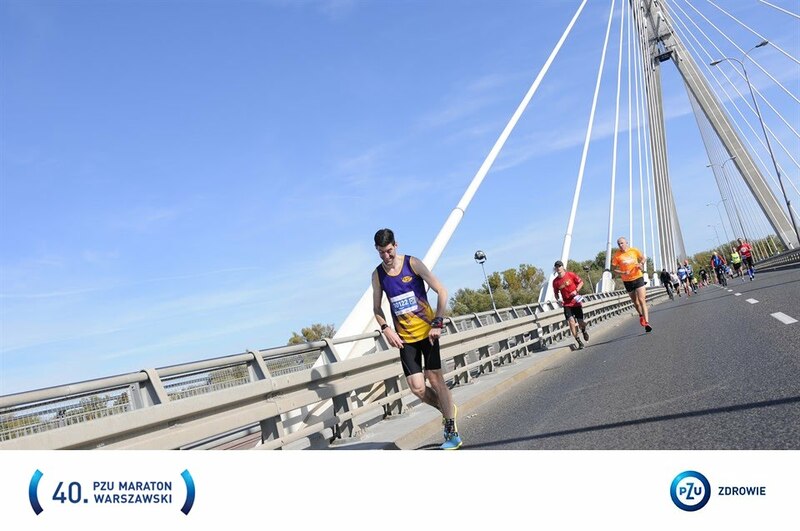 The challenge is to run each marathon in under 3 hours. To recap Brighton in April I ran in 3 hours and 5 seconds! The challenge for Warsaw was to find those extra 6 seconds but of course I had much grander aspirations than that. I use to think (until this marathon) that we owe it to ourselves in every race to always push ourselves to our absolute limits. To realise our full untapped potential. 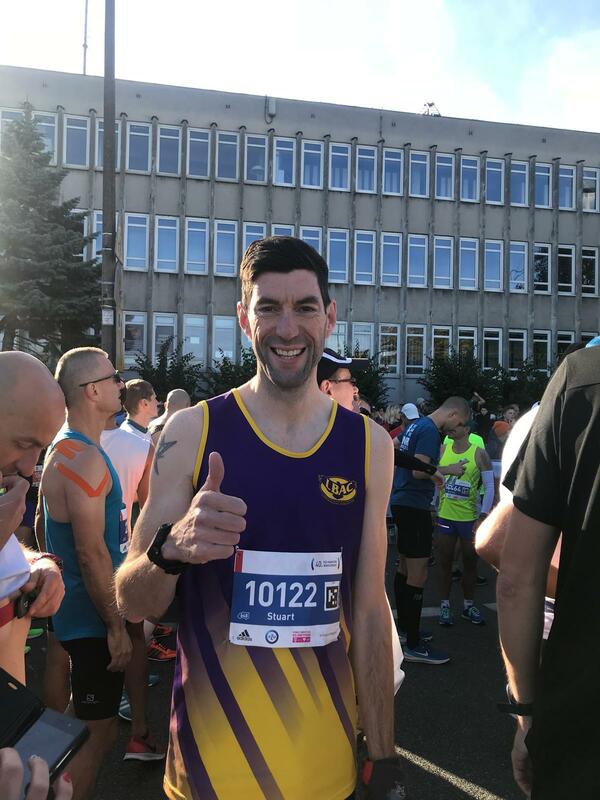 I would of course be extremely pleased with a sub3 this weekend but training had been going very well following Brighton and posting PBs since then in 5K, 10K and half-marathon distances. All the signs were very good and I was confident of running quite a bit faster than 3 hours. So taking everything into account from my training times and recent races I decided to go for a time of sub 2 hours 50 minutes which equals 6.30 minute per mile pace. 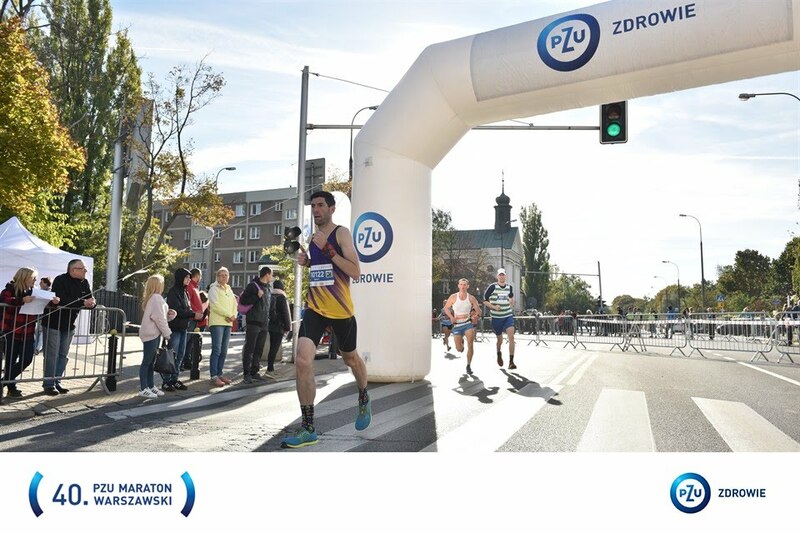 But this was Poland and I was running 42.195 kilometers not 26. 2 miles! The whole course was in KM so I needed to think in kilometers and thus know the corresponding pace in KM’s too. The maths was actually dead easy. All I had to do was run each 5K split in exactly 20 minutes which would see me cross the line in sub 2:50 ~ my new A goal. So as you have probably guessed or already know via social media this story does not have a fairytail ending. I don’t intend to drag out every agonising detail, instead let’s pick out the key moments from the race. It was certainly an eventful one as you will see! I’ll then reflect a little on what it all means, what I have learnt and what is next. I got to the start with just 20 minutes to spare. I’ll save you the detail of the frantic dash across Warsaw! Final adjustments to lacing, a wee and bag deposited and I was all set. 1 minute to go… Shuffle forward in the sub3 pen as the ribbon gets lifted and a small surge and we were off. Time to relax and get straight into my stride. The thing about 6.30 pace (oops… 4 minutes per kilometer 😉 is that where as I’d normally be concerned about going off too quick that just isn’t a concern. Why? Cos it feels fast from the very start even though that was my target pace. I was wearing my heart rate strap too so could use this to judge my effort. Anything in the low 170s was fine. I was hovering around 165 at this early stage and so I fell in with a small group of runners and just stuck with them. My Garmin pinged up my first mile split. (the lap counter was still in miles which was actually helpful as I had the best of both worlds tracking in KMs with mile splits too). The first mile was a 6.18! Oh heck. The 2nd mile calmed down with a 6.30 and then 6.18 again for the 3rd. However this was a fast course and there were a few long gradual decents contributing to the fast splits in the first 5K section. I didn’t think I was overcooking it as I was right on pace for a sub 2.50 (2:48.05 to be exact). Whilst the sights were indeed nice this was no sightseeing trip. I was taking in some of the scenery and atmosphere but unlike Brighton where I was relaxed and the pace felt very settled and flowed this was different. With no physical pace makers either I was far more reliant on my watch and checking pace at least a few times per KM. I had also set up an audible alert that sounded when I fell below 4.10 pace. In the early stages this only happened on the very few short ascents. Later I would be hearing it a lot more. We were soon at 10KM (we being the same 3 or 4 runners I fell in with). Again as I looked down exactly 40.00 was on my watch. Nice. I love hitting split times in training, and the comfort that came from hitting them so precisely in the race was great. But it wasn’t lost on me that they only represented what I had done so far, not what was ahead of me. I remembering thinking to myself a quarter of the race complete (not withstanding the final 2.195KM). Some comfort came from thinking this but I still knew the effort I was putting in to maintain pace was high. I couldn’t relax for even a second. My heart rate was constantly around 174 BPM. THE PARK AND THE HILL! At 13K we turned into the very green and pretty Royal Lazienki Park. The running surface changed to compact dirt and gravel ~ not hard to run on and a nice change and distraction. A nice section of the course. What was coming next though couldn’t have been more of a contrast. At 14.5K you come out the Park and turn right and right again and hit Belwederska Street. The only significant hill on the course ~ much bigger and longer than anything in London but thankfully not Snowdonia! I actually enjoyed it and focused on keeping my stride smooth and cadence high. At the top of Belwederska Street was the next milestone ~ the 15KM marker which as I went through once again my game of split time bingo was spot on rolling through in exactly 1:00.00. 1 hour for 15K. Nice. So far so good, but I wasn’t celebrating. I knew to hit these splits was taking a huge amount of effort and in the next 5K section up to the half marathon distance my quads started to complain a little. That is far too early in a marathon to be feeling such discomfort. I was trying my best to ignore the slight discomfort but it was there and it wasn’t going away. I was 5 seconds slower per KM between 15-20KM. It doesn’t sound alot and at that stage it wasn’t. I was still just under a 2:50 finish time too but I knew the slowing down was something I would need to control and try and limit the damage. To compound matters [I can’t remember exactly where on the course I first starting feeling uncomfortable] my stomach was not in a good place. I felt laboured and nothing was coming easy at all. I just tried my best to dismiss the feeling and ignore it. I hit the half marathon marker in 1:24.25. My third fastest half marathon split ever including half marathon races. And my fastest half split in a marathon race 5 minutes faster than at the same point in Brighton. But I can’t remember rejoicing or thinking anything about this in the race as I was just hurting. In hindsight this is also quite odd. The pace to half way was 30 seconds per mile slower than my recent PB in August where I clocked a sub 1.20. In that half I didn’t feel battered and my quads were okay whilst running a constant 6 minute mile pace from start to finish. Here in Warsaw I was running 6.30 pace (sorry to swap back to miles!) and I felt pretty crap. Lower pace but really feeling the effort. Obviously every race is different and you can’t expect to feel the same each time or deliver the same performance but this still surprised me. I hooked up with a local chap called Raff. The only person I would speak to in the entire race. I really missed the camaraderie of Brighton where I ran in a group 15-20 runners deep with two pace makers and chatting with them. That made such a huge difference to perspective and just made the miles go by quicker. Here I was alone. So when Raff pulled up on my shoulder just after the hill at 15K I made a deliberate effort to strike up conversation in a bid to find out his target time and buddy up. He too was looking to run 2.50. His PB was 2.52 which he ran this year. Great I thought I just need to stick with him. So we worked together. We almost held the 4K pace resulting in 5KM split for 20-25K section of 20:21. For me that was a huge relief as I hadn’t leaked any more time from the previous 5K split. It was somewhere after 25K where my race started to unravel not from the pace (initially) but from the growing discomfort in my stomach. I had been dismissing it up to now and running with Raff was a great distraction. However it was now becoming clear that I needed to do something about it if you know what I mean!  But I carried on regardless for fear of losing touch with Raff and a pack of runners who were evidently running 4 minute KMs too and had just eased passed us both. Raff gave chase and latched onto them but I just couldn’t. It was also here that my stride had significantly altered. This was quite a shock as I became very conscious of my left heel slapping the ground with each step… thud, thud, thud. That wasn’t good. My quick light cadence had been replaced with a slower sluggish inefficient stride that sounded awful. And that of course starts to compound the impact on your muscles and quads as each thud sent a bigger shockwave through my leg. And it’s a vicious circle. But that was the least of my worries. As more urgent matters more concerning me right now was whether I had to stop and find a portaloo. For me stopping in a marathon whatever the reason is a white flag to the internal-self (the Central Governor). A slight chink of weakness appearing to upset the balance. If the brain picks up that it’s okay to stop no matter how legit the reason then later it will say it’s okay to stop or slow down for another ‘good reason’. I was really reluctant to stop and passed by some portaloos and then another one further up the course as one or two more KMs passed. Shortly after passing that last portaloo though I immediately regretted the decision. I was in a bad place now and my marathon plan was unraveling. It was causing me to slow further as the pack moved further and further ahead of me. I knew then that I was waving goodbye to any hope of running sub 2:50. I continued on in slight distress and turned a corner and there was an amazing sight… more portaloos!!! 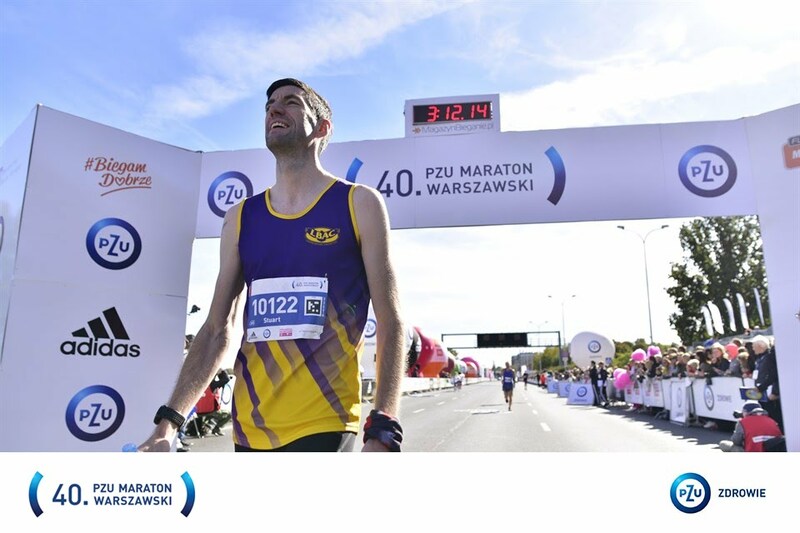 [Believe it or not if there is one marathon that you would wish to have stomach / toilet trouble you would chose Warsaw. Unbeknownst to me they have more portaloos than any other major marathon! No idea who counts them all but I read this fact in my new marathon book that I bought at the airport. I thought it was a funny fact to include]. Exiting the portaloo (no detail required!) I felt a whole lot better. It didn’t fix my legs of course but the stomach discomfort had reduced and I felt then like I had reset the watch and could now tackle this second half just as I had the first. And for a short time I was feeling quite positive about progress and my returning pace. My form wasn’t back but in the first full KM after the stop I was pretty much back on pace. So I saw out that drama and reached the 30KM check point. Clearly it was my slowest 5KM split so far ~ 23.26. But if I could stem the tide (poor choice of phrase perhaps 藍) I believe I was still on for a finish time of sub 2:55.00. This section marked a noticable change in the course. We had at around 28KM I think transitioned largely from city streets to long flat straight highways. They should of been super fast. Perfect for marathon running, but they didn’t feel it. They seemed to have the opposite affect on me. It felt slow going and I was indeed slowing down. Of course I knew this as I was continually checking the Garmin. The pace alert I had set to 4.10KM was now chiming repeatedly. I just couldn’t hold the pace and was falling off pretty significantly. My quads were pretty battered and the heel striking wasn’t going away. I just didn’t have any spring in my stride. I knew then that the last 12K was going to be really tough. Even tougher than my very first marathon in London in 2006 where the wheels fell off. The problem now as well as the obvious slowing down was my maths! My watch was only displaying KM pace I only knew that 4 was my original KM target pace. Beyond that I had little clue. 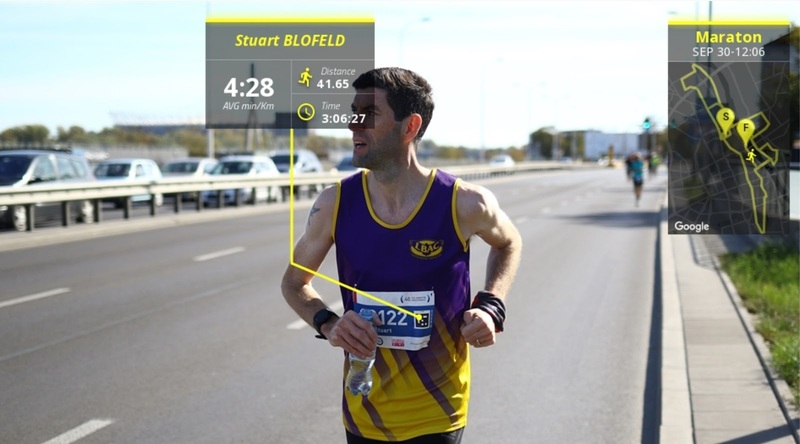 When running in miles and mile pace I could do the maths on the road with the time remaining and work out what pace I would need to run. For some reason even though the course was all marked in KMs, I had KMs on my watch, and I knew the time elapsed I still couldn’t work out what KM pace I had to run to make sure of a sub3. The real issue was that I thought I had a comfortable time cushion so no matter how much I slowed I thought it wouldn’t get so bad that a sub3 would come under threat. Surely not! Or perhaps the Central Governor was back to its mind games, saying it’s okay to slow down because you are still on target for sub3. You’ll be fine. But I wasn’t on pace. I just didn’t have a damn clue. Initially I was holding my pace at steady 4.20s, then 4.40 as other runners started to pass me regularly. My pace fell further to 4.50s and then 4.56s. This wasn’t a case of stemming the tide anymore. This was a full blown tsunami. I knew at 5 minute per KM pace that this equaled 8 minutes per mile and I thought that would be safe. I was doing the maths with 4 miles to go, 8 x 4 = 32 minutes. I had 35 minutes. Yeah I thought, I’m fine. The sub3 was still on. But I wasn’t running with any urgency. Neither my mind or body was cooperating with me. Of course I wanted to run a sub3 but as I floated along fairly oblivious to the real peril of my situation I wasn’t actually engaged in the task of ensuring a successful outcome. I have no other words or explanation that will explain it other than I was battered, knackered and I was done. Stick a fork in me. The sub 3 hour pace maker with his flag and band of merry men and women came alongside and past me in the final 4KM. I sped up and ran alongside the group for all but 50-100 metres. But I didn’t have anything left. I wasn’t checking out mentally (at least I’m pretty sure I wasn’t), I really wanted this. But 6.52 mile pace (I still don’t know what that is in KM pace) was far to fast for me. Only 4KM left I kept telling myself. I visualised my local Parkrun course and wondered if I might just be able to keep up. Why couldn’t I? Why couldn’t I motivate myself to push that little bit harder. Where was my drive? Was this everything I had to give. Seemingly so. I didn’t actually ‘feel’ anything much at this point. There wasn’t any major wave of disappointment or sense of failure. I wasn’t gutted. I had taken a big but calculated gamble deciding to run at a certain pace and clearly that gamble had not paid off this time. I said earlier that I didn’t think for a second that my target pace was risking my #3in3marathonchallenge. 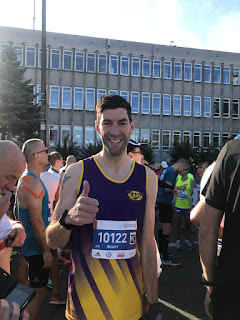 I was 200% confident that I would run sub3 in Warsaw. In the final 2KM I was actually just admiring how brutal the marathon distance is. What it had done to me to put me in this state. No matter how good your preparation and training has been, if you don’t get it 100% right it just chews you up and splits you out. The distance will find every weakness and expose it. 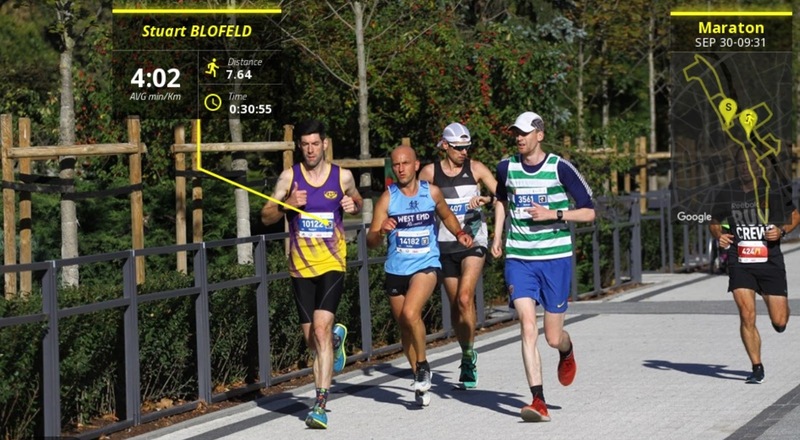 My race had completely unraveled in the last 15K from me accepting that I wouldn’t run a sub 2:50 to finally crossing the finish line in an actual time of 3:12.11. The final two miles took me 24 minutes! I ran the first three miles in almost that time. My first half marathon split was 1:24.45 and the second half 1:38.33. 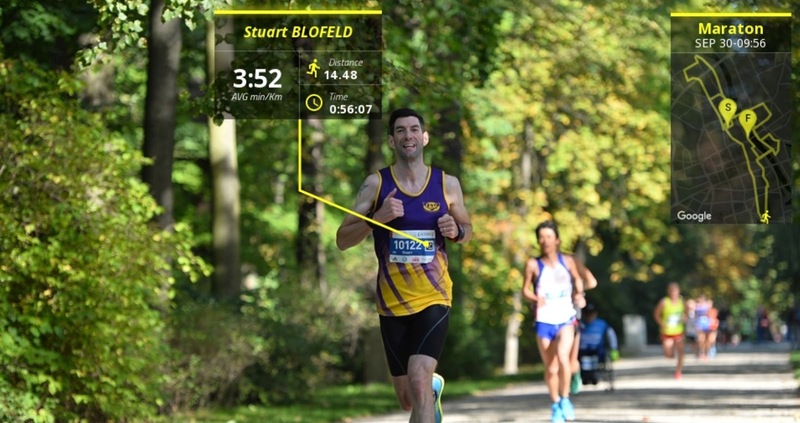 At 30KM the live race tracker was predicting me to finish in 2.53. At 35K with just 7KM to go the prediction had fallen to 2.57 but still comfortably inside a sub3 finish. The point I’m making here is that there is nothing remotely predictable about the marathon. 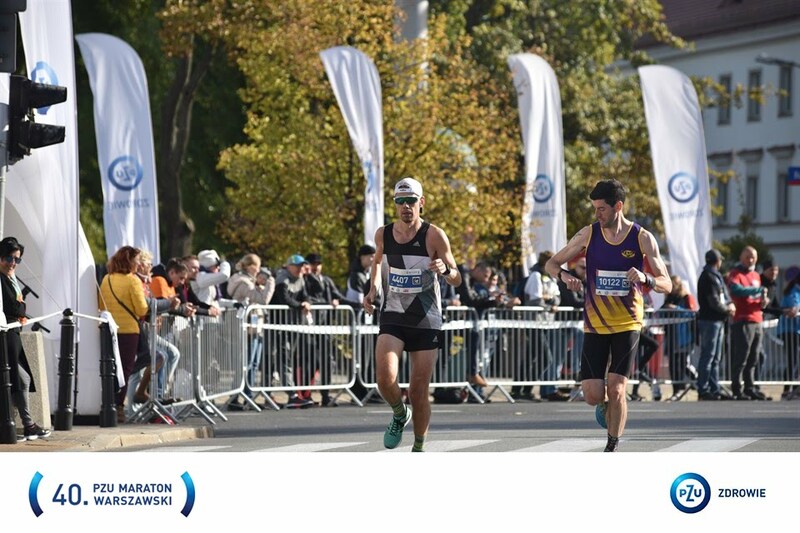 It’s the marathon’s unpredictability that draws people to it time and time again. 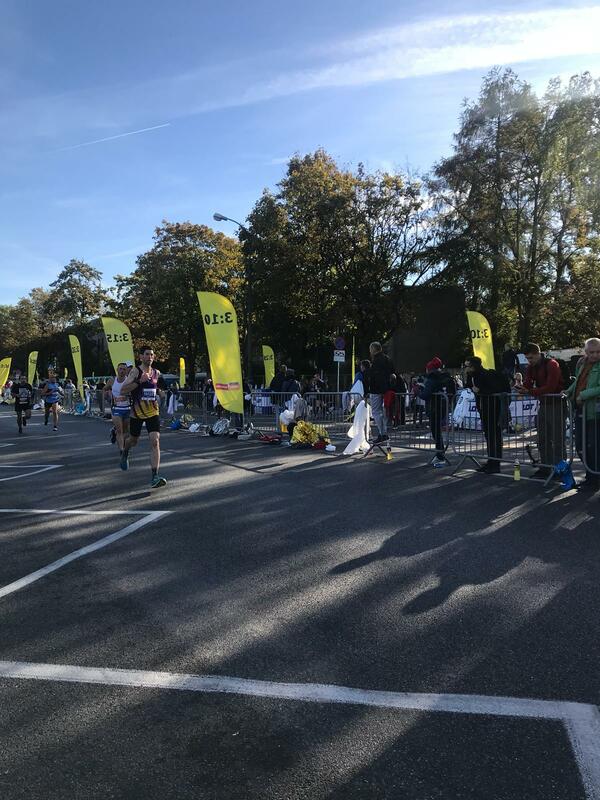 And even when you think you have cracked the secret of the marathon you have a race like this that reminds you just how much you still have to learn. Back to the drawing board!! 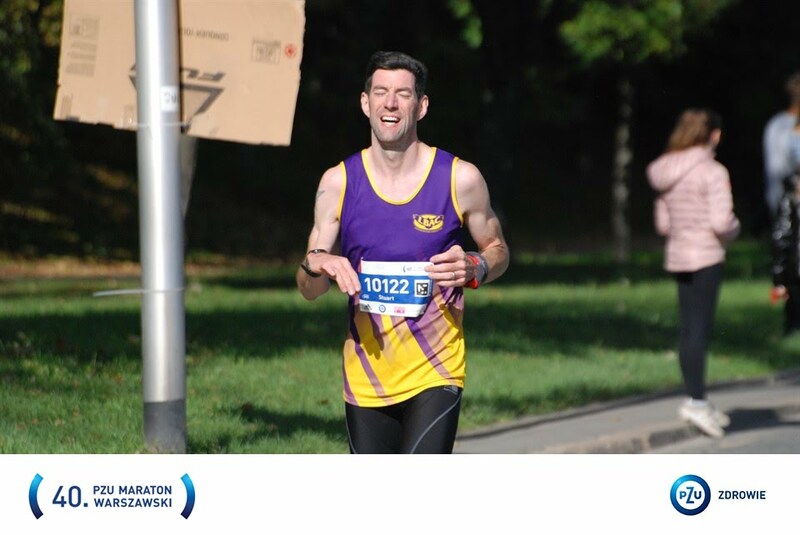 Some friends have asked about my 3 in 3 Marathon Challenge… so what next? Where does this leave the challenge? Well the broader challenge is over. I won’t dress it up. I’m not afraid of failure or fessing up. It was bold and ambitious. However Snowdonia is most definitely still on. 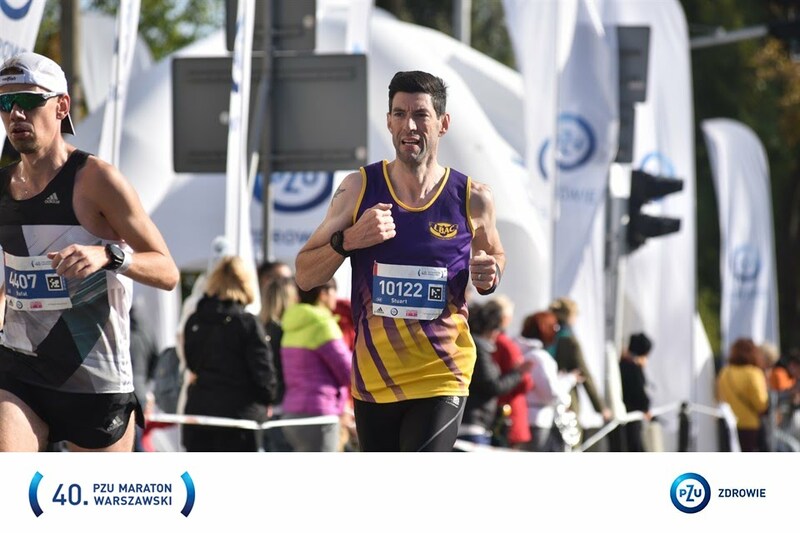 I have 4 weeks to recover and prepare fully for my final marathon of the challenge. I chose Warsaw late in 2017 as my A race in 2018. I chose it because it was a super fast flat course. My goal was to run sub3 here. That was it. Just one goal. I didn’t have any other goals or plans apart from that. But along the way ambition creep kicks in. Brighton was ‘only’ a training race to check my form and progress towards Warsaw. Because training was going so well I thought why not set a sub3 target for Brighton too. Wouldn’t do any harm right. It was just a training run after all. There wasn’t any pressure in that race and I enjoyed every second and came very very close. But whilst in the mood for setting goals and because I run Snowdonia every year that’s where the 3 in 3 Marathon Challenge was born. Why stop at setting the sub3 goal for Brighton and Warsaw. Let’s make it all three!! Why the heck not. Let’s start with the amazing news about the Challenge. I’ve now raised over £2,000 for my Church to support a new youth and community project. That in itself makes the whole challenge worthwhile. That’s a given and I wouldn’t change a thing for this reason alone. But setting all these goals has definitely clouded my thinking and my approach. My only original goal for 2018 was to run a sub3 marathon. That was it. Two marathons down now and still no sub3! Why? Because over ambition can effect our judgement. Training has indeed been going very well and I was/am in good shape but why risk all that and the last 10 months of training (from November 2017) to run a time just 10 minutes faster than my original A goal. Sometimes it’s just too easy to get ahead of ourselves. I hadn’t even achieved my sub3 goal yet but was seeking to over-achieve to be the best I could and demonstrate this to others. Why wasn’t I simply content with sticking to my original goal. I don’t think this is just a simple case of hindsight either. I really do think I lost my way and took my eye off what mattered most. But what is done is done. Time to move on. That’s where I am. And now it’s all down to Snowdonia! The last marathon of the 3 in 3. Who would have thought that it would come down to the least likely race of the 3 for me to achieve my original goal. But perhaps that’s where it is supposed to happen. And interestingly ever since I first started running Snowdonia 8 years ago it has always been my inner-ambition to run sub3 at Snowdonia. That’s why I made it a part of the challenge so perhaps it’s now more appropriate than ever that to should do so. I’m certainly going to give it my all.